13" Tall. The Barn Owl's ethereal appearance matches its silent hunting style. 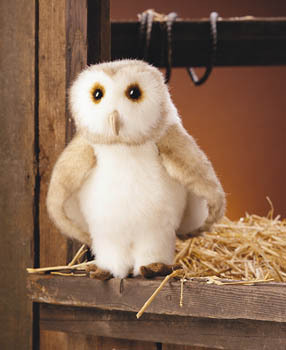 Soft and light, this Barn Owl puppet's feathery plush in shades of brown, gray, and white will charm you with its beauty, while you animate its head and wings.